There are so many inventive hands-on ideas out there to use when creating a solar system unit. It was almost as much planning this homeschool unit study as it was to teach it! I try to incorporate sensory elements into all of our unit studies. 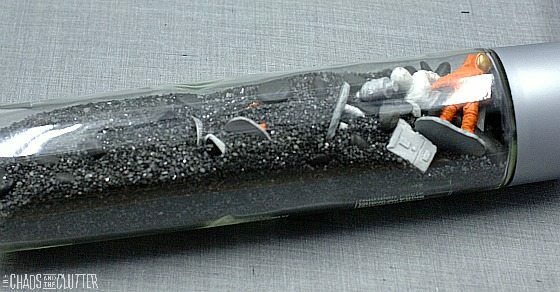 For our solar system unit, I created a glow-in-the-dark solar system sensory bin and a weighted Space sensory bottle. 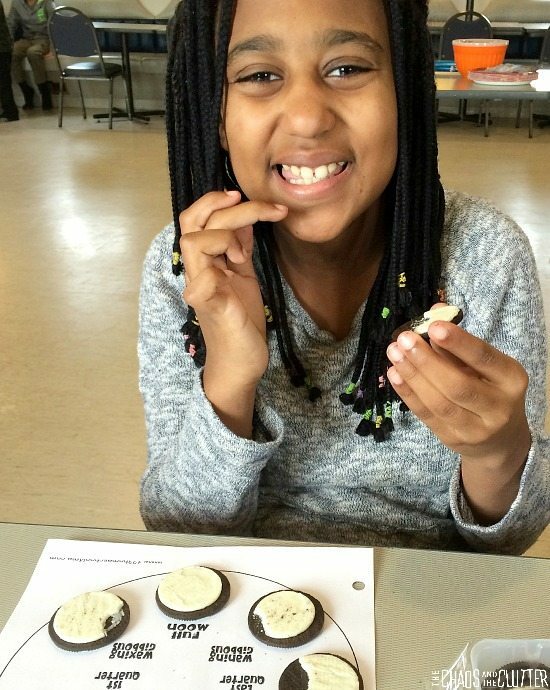 Using a free printable that I found on 123Homeschool4Me, we brought a case of Oreo cookies to our homeschool coop and made the phases of the moon out of Oreos. 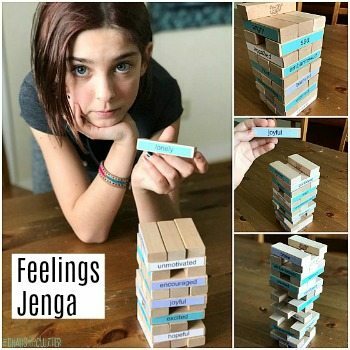 The kids enjoyed this activity so much that they also did it at home a few days later. They said it was so that they could study the moon phases but I suspect it may have had more to do with the Oreos than the learning! The kids completed phases of the moon flip books. We found the printables for those on Teachers Pay Teachers (free). 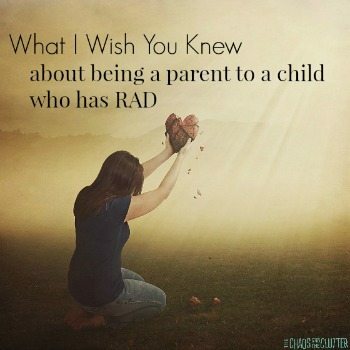 I especially liked that they came in two types, one for older kids and one for younger kids. 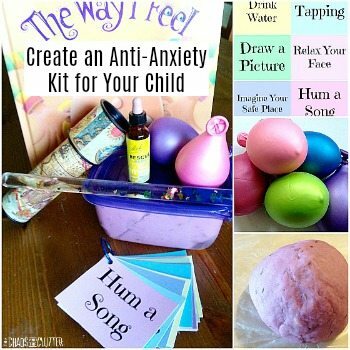 This worked really well for me with the various ages of my kids. I used an mnemonic that I learned when I was a girl to help them memorize the order of the planets from the Sun. 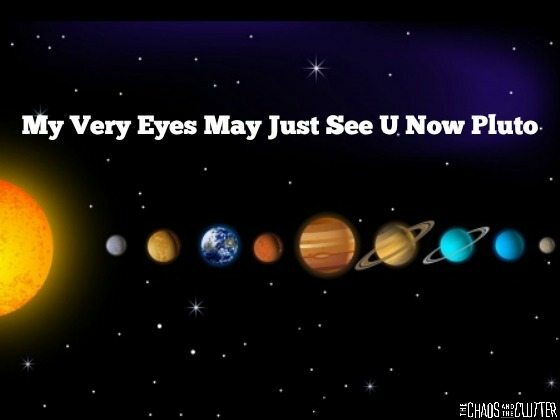 I know that there is controversy about whether or not Pluto is really a planet, but I had done some research and it seems that it is still considered a planet (sometimes called a dwarf planet) by those at NASA, so I told this to the kids but I included it in my mnemonic (you can click on that link or the photo below if you would like to print it off for yourself). My kids were the most interested by what they learned in Experiencing Astronomy. 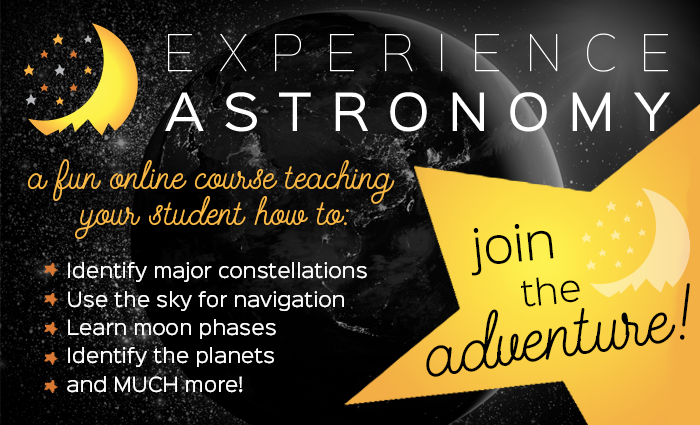 It’s an online course that Einstein has been taking this year and learning so much but during the course of our solar system unit, I had all of the kids listen to the Experiencing Astronomy videos. They were intrigued and it led to many interesting discussions and learning. 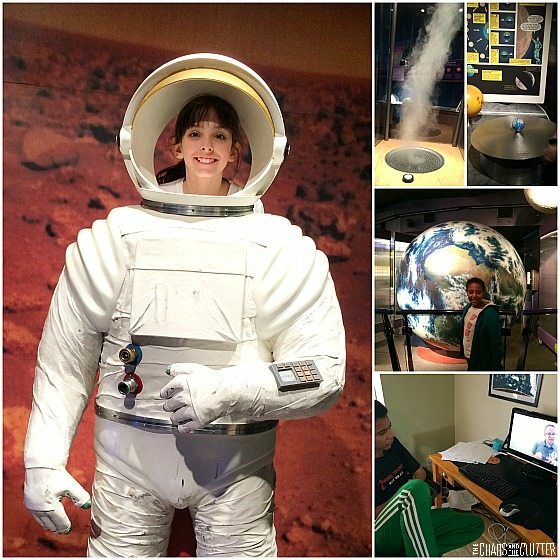 At the beginning of our unit study on the Solar System, I took the kids to the Space and Science Center in the city closest to us and when we finished the unit, my mom took them there again. There is a large area there devoted to the solar system with many hands-on learning opportunities. It was a great way to reinforce their learning.